based on your needs, likes and goals. Bootcamp the most affordable way to work with a trainer. While motivating and challenging each other to get fit together. New Image Fitness Studio is a clean well equipped, non-intimidating Private Studio located in Courtice, ON. Gidget Ovsenek has been helping people change their lives for over 14 years. By working with clients safely and effectively helping each one achieve and maintain his or her health and fitness goals! Sometimes just getting started is the hardest part. Gyms can be intimidating and not knowing what to do or where to begin is often enough to deter people from a healthy lifestyle. My goal as a Personal Trainer is to provide clients with the tools necessary to live a healthy and active lifestyle. I do this through customized workouts, proper nutrition and weight loss tips to meet your specific needs and goals. Through the assessment of my clients fitness and nutritional needs, I provide personalized programs using a wide variety of exercises and training techniques to continually challenge and give exceptional results! 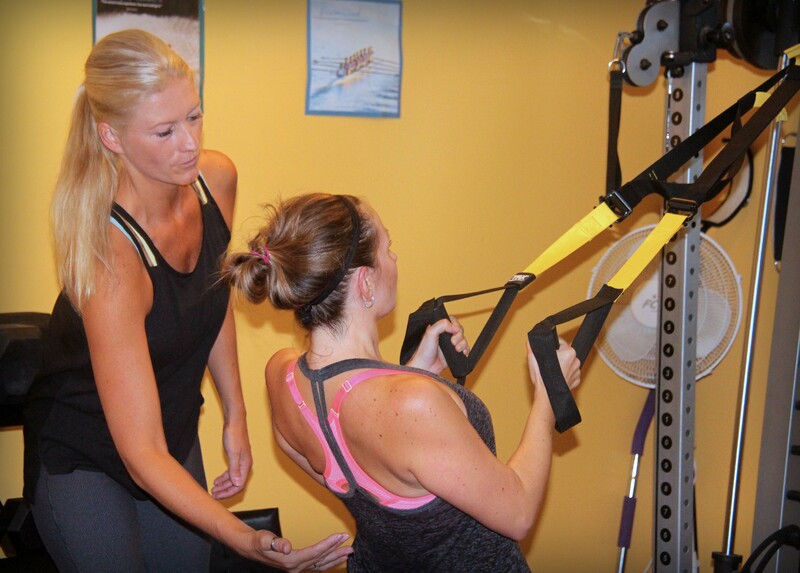 Whether you are at the beginner, intermediate or advanced level with past or have current injuries New Image Fitness Studio can help you reach your fitness and health goals! Call me today and let me show you how to live a healthy and happy lifestyle. Take control of your life and your goals. Contact me today for a Free Consultation. New Image Fitness Studio is an established, clean and successful Personal Training Studio located in Courtice. Have been helping people changed their lives for many years. Get the best results with personal training! Work with Gidget to create a customized training program based on your needs and goals. Our Bootcamps focus on challenging full body workouts! Each class will consist of cardio, strength, core and flexibility training for optimal results. Lose weight the healthy, fun and natural way - through exercise and diet! Watch the weight drop while you burn fat and tone and eat what's right for you! Our training packages offer nutrition advice, support and everything you need to not only feel great but get healthy the natural way. Working out alone isn’t for everyone. Sometimes we need the support that comes from friends or others after the same great results. Gyms aren’t for everyone. Try a professional home environment that aims at personalized results without the stress of busy facilities. and the Durham Region for over 14 years.